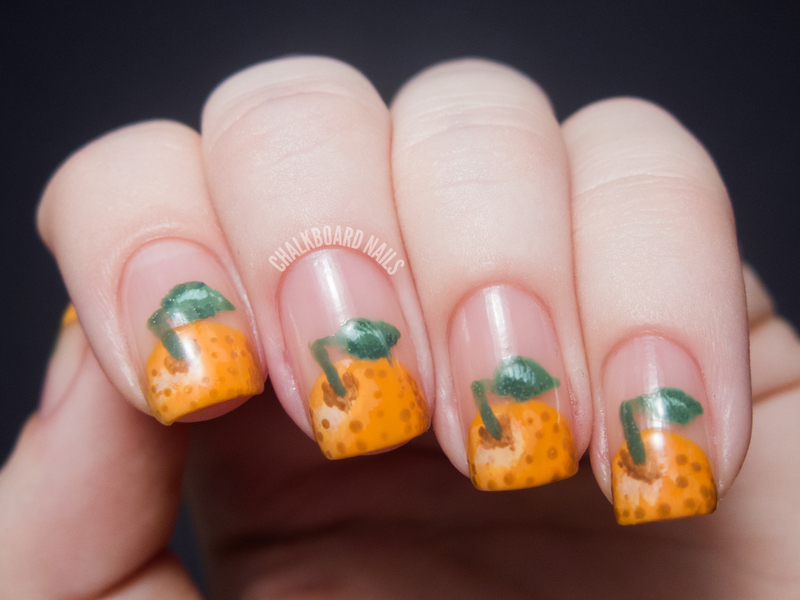 Today is day 02 of the 31 Day Challenge 2012, and the prompt is orange nails! I interpreted this theme as actual oranges (which are also orange colored, obviously). 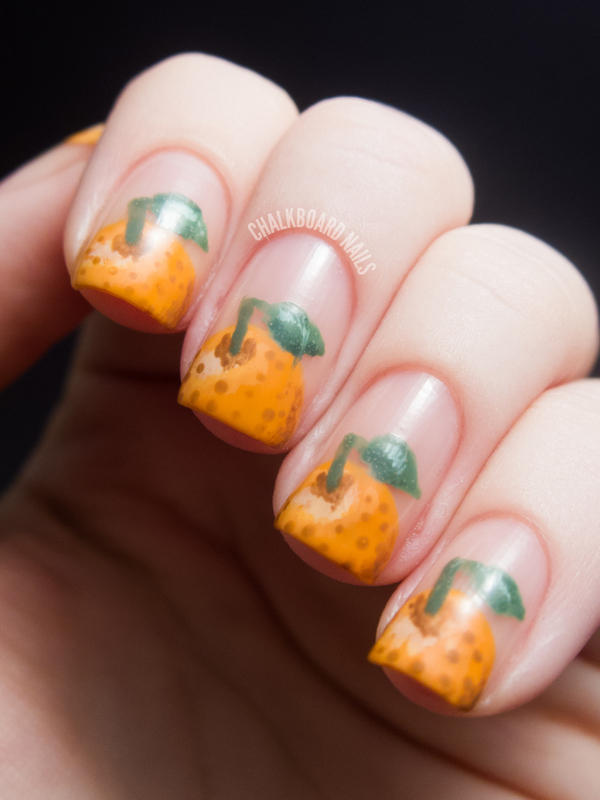 If you'd like to see my orange nails from last year, you can view them here. 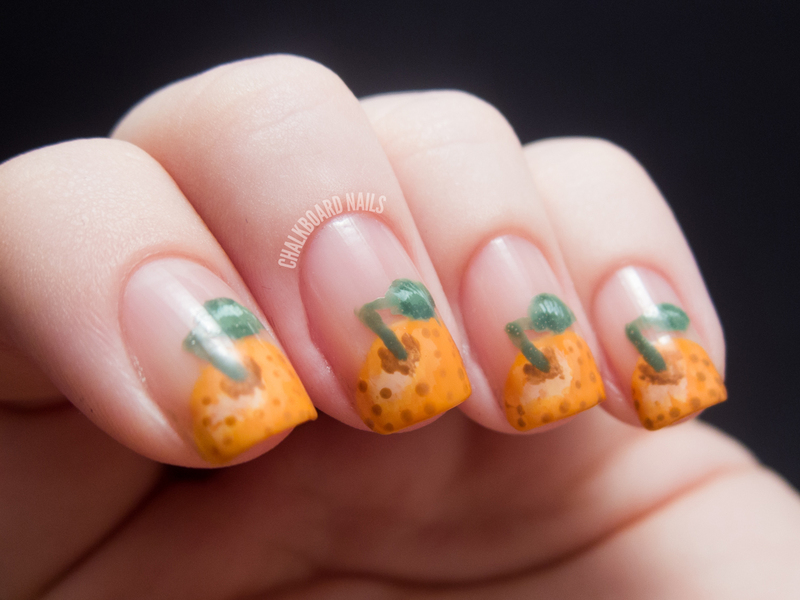 This was created as a variation of that famous apple manicure that you've probably seen before. I'm not sure where it originated from, but Rebecca Likes Nails did a great variation of it on one of her day 01 nails, and you can also find a tutorial for them on Syl and Sam. 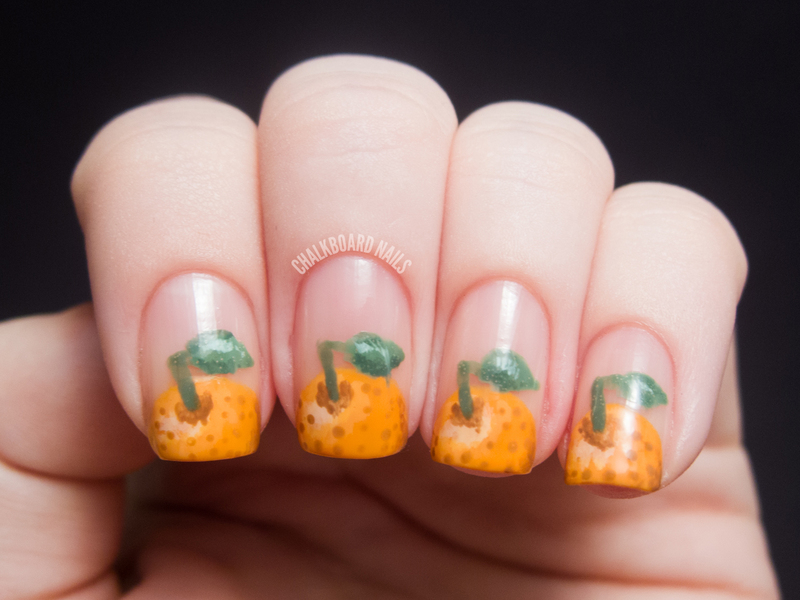 I attempted to make the oranges look a bit more realistic and less cartooney, which was a bit out of my normal nail art comfort zone! The main colors used were Zoya Arizona and Essie Mojito Madness. To create the various shades you see in the manicure, I mixed in bits of China Glaze White On White for lighter and OPI Wooden Shoes Like to Know for darker. 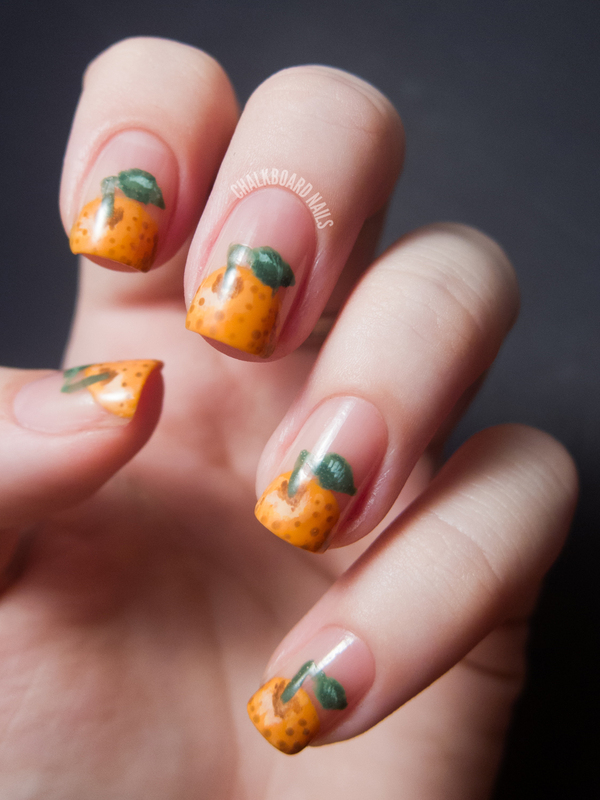 The orange shapes were freehanded on using the brush that came with the polish, and then everything else was done freehand with my medium length striper brush. When I hand mix colors, I do it on wax paper and then paint from there. That way, I can just wad it up and throw it out when I'm done. No palette to clean or anything! Fun fact about me, I hate oranges! I like clementines and orange juice and orange flavor, but eating actual oranges is awful and I refuse to do it. Maybe we should call these clementines so I don't seem like such an orange poser. Yellow tomorrow! See ya then! What a cute idea Sarah!!!!! LOL!I hate oranges too- people always look at me crazy when I tell them. I don't like orange juice either though- unless it's mixed with Ginger Ale which is really yummy. This is an adorable mani, btw! I seriously like your orange tips! I'm in love with your mani! so cute, you are good!!!! I think the 'famous apple' mani came from cutepolish :) THIS is such a good mani, I love how it's more life like than cartooney! The shading and detail on your oranges is simply fabulous! Cute nails. I saw your first post about the 31 day challenge and decided I needed to do it. As usual, you are so talented! 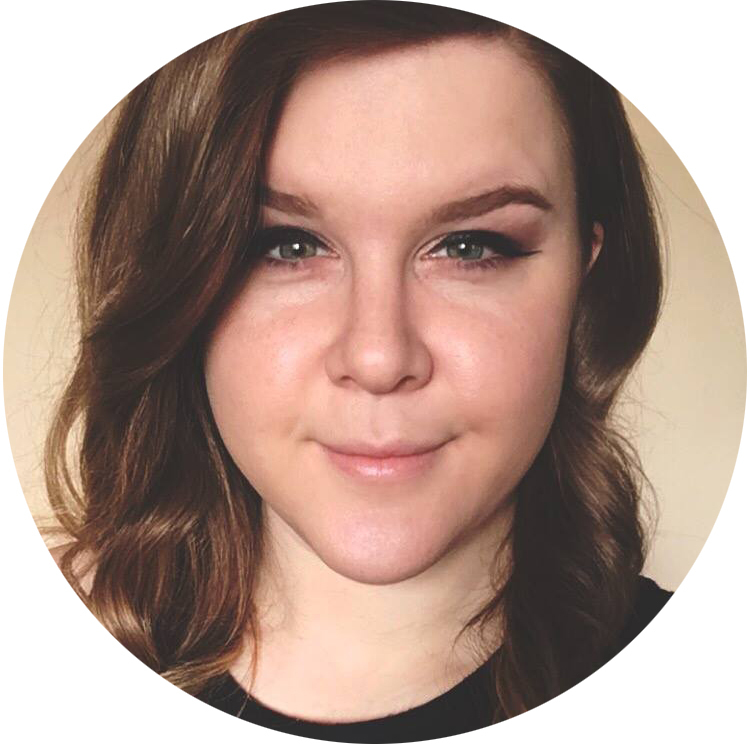 I love seeing everyones different ideas and interpretations to these challenges! Adorable nails! Oh my gosh, someone else like me! I love clementines, I used to love orange juice until it started messing with my sinuses, but I hate oranges! My parents think I'm so weird. My dad gives me oranges to torture me.